Whether it's a baby grand or an upright, a piano attracts attention in a room. It invites guests to enter and make themselves at home -- whether or not anyone is playing the instrument. Proper furniture placement enhances the sound of the piano and encourages guests to stay in the room for longer periods of time. Once the placement of the piano has been set, planning can begin on other aspects in the room. The piano in this room draws attention to a large bay window. Place the piano in a section of the room that is not affected by extreme temperature changes. The piano should not be exposed to direct sunlight or placed near heating or air conditioning vents. If the piano is to be placed near a window, draperies can help to filter the light as well as to enhance the sound. Position grand pianos so that the pianist and the opened piano face out into the room. This enables the pianist and guests to interact and allows the sound of the piano to flow out into the room. Consider placing the piano in an area that complements an architectural detail, such as an alcove or bay window. Soften the look and feel of the room by decorating it with area rugs and soft, comfortable seating. 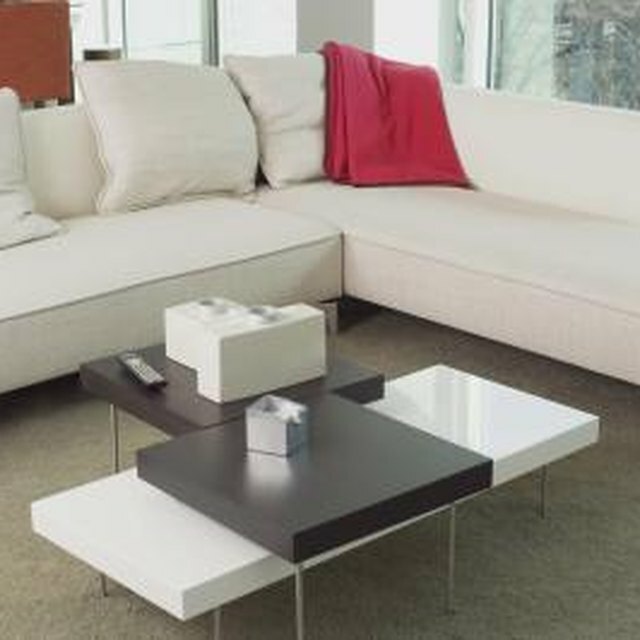 Comfortable furniture is not only welcoming, it also offsets the hard lines of the piano and enhances the room's acoustics. There should be enough furniture in the room to encourage conversation whether or not the piano is being used. However, too much furniture makes it difficult to move around and also deadens the sound in a room. Consider the desired mood of the room. Light-colored furniture provides contrast to traditional black or dark brown pianos. Lighter tones also make the room feel brighter and more open. Darker or deeper tones can give the room a more formal appearance. Use the room to showcase other personal interests. Artwork, photography or an extensive book collection placed near the piano provides a more personal feel, making the space seem less like a concert hall and more like a home. Wood floors enhance the sound from a piano.